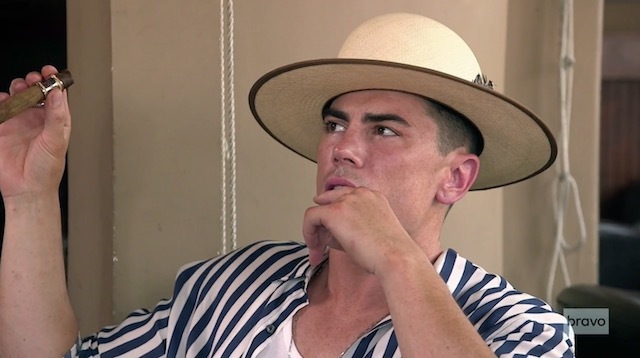 “Crazy Kristen” Returns On Tonight’s Vanderpump Rules! 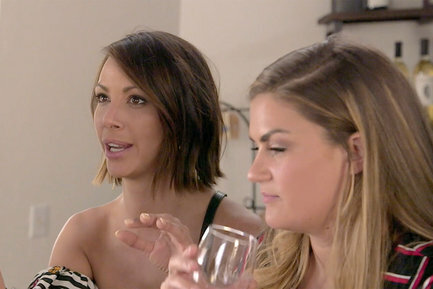 On tonight’s Vanderpump Rules the ladies are still in Solvang – the Epcot Center of wine countries – and Crazy Kristen Doute is rearing her ugly head. We like to call her ‘The Kritter’ since it’s so much more ominous but you know either nickname will suffice. Tonight the Vanderpump Rules crew parties too hard and experiences lapses in judgment. You know, something new and different! Except for this time, Tom Sandoval also jeopardizes his relationship with Ariana Madix by sharing details about her personal life in mixed company. Oopsie. First, everyone visits Scheana Marie‘s new shrine, aka the apartment where she lays her massive self-photo collection. But Scheana isn’t just showing off her new place, she’s also showing off her new man by revealing that she and Adam Spott have finally gotten physical.